The best visor under the sun, feather light, wide coverage, sheer view brim, and stylish. 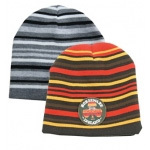 Wide brims keep harmful UV rays at bay and protect faces, noses, necks and ears. 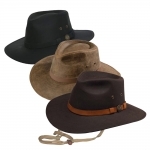 An Outback Oilskin hat is a perfect partner to foul weather. 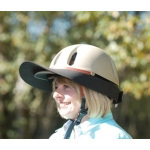 Mesh crowns, chincords and windstraps, screened eyelets, ventilating grommets and floatation foam. 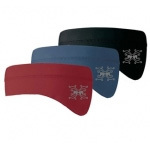 Easy-fitting elastic sweatbands with Dry-Zone moisture-transfer keep heads cool, dry & comfortable.